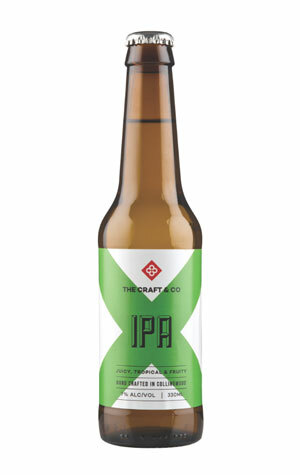 For its core range IPA, The Craft & Co’s brewing team decided to make New Zealand hops the central feature, including no less than eight separate Kiwi varieties in their beer. Two of them – Wakatu and Waimea – are included during the whirlpool as whole hop flowers and later during the dry hopping process. The outcome? There's an upfront resinous aroma that hints at a slightly sticky sweetness, which is met by flavours of tropical fruit and citrus. The sweetness of the malt adds balance against a building bitterness that lasts on the palate well after the beer is finished.